By now, you’ve likely heard quite a bit about Laser Tattoo Removal. 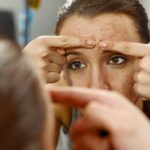 This ever increasingly popular solution is the only safe and effective way to remove past mistakes without scarring the skin. Now, perhaps referring to unwanted tattoos as “mistakes” isn’t all that fair. After all, there are many reasons for removing tattoos. And they don’t all have to do with a sense of regret. 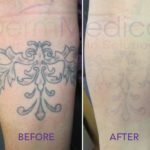 In this blog we will give you 6 Reasons For Laser Tattoo Removal that might relate to your particular situation. Relationships Gone Sour. Okay, so perhaps getting a tattoo to commemorate a relationship that you’re no longer in can be defined as a regrettable decision. This, quite frankly, is one of the most popular reasons that people have for removing their tattoos. The number of ex-boyfriend and ex-girlfriend names that have met the laser is quite high. And that number will only continue to grow. Bad Tattoos. Another very popular reason for getting a tattoo removed is because is simply looks terrible. Not all tattoo artists are amazingly talented. And quite a few individuals with tattoos are forced to live their daily lives with poor workmanship attached to their skin. If you’re unhappy with an ugly tattoo, your best bet is removal over trying to cover it up and making it worse. Lifestyle Changes. As mentioned, not all tattoos that people want removed are seen as “mistakes”. In some cases, the tattoos simply represent a different time in a person’s life that he or she would like to move on from. As we grow and mature, the things that matter most to us change. Adopting new outlooks on life may help a person to decide that he or she no longer want to be associated with tattoos received as a youngster. Overcoming The Stigma. Unfortunately, tattoos have been known to give certain people a bad rap. There are those who associate a sense of fear with tattoos, assuming that they may have some sort of relevance or connection to gang culture. This is certainly not always the case. But for those wanting to rid themselves of the stigma, Laser Tattoo Removal is an excellent solution. New Career Paths. Speaking of overcoming a stigma, the workplace is somewhere that tattoos are often frowned upon. Rarely are tattoos a part of the uniform or dress code of your average working environment. If you are considering a career change that may be hindered by your tattoos, full removal of them may be your best option – especially if your tattoos are in areas not generally covered by clothing. Stunning Realizations. Have you ever seen a movie, TV show or commercial depicting a person who wakes up to find out he has a tattoo he doesn’t remember getting? Believe it or not, this has actually happened in real life. And more times than you may think! Perhaps there is no better reason to remove a tattoo than to do away with something you never intended to get in the first place. There is no tattoo too big or small to remove, as evidenced by this YouTube video. The reason for the removal is unknown, but the sheer size of the dragon tattoo on this person’s back suggests that it was quite the mistake! No matter if you feel you want to correct a mistake or simply make a change in your life, Laser Tattoo Removal is an ideal solution. To book a consultation or to get more information, call DermMedica toll free at 1-866-861-3070, or if you are in Kelowna, call 250-868-3070.